Need to get rid of confidential documents? We provide paper shredding services to meet the scheduling needs of businesses and residents across Ipswich MA. Let us protect your sensitive information with convenient on-site appointments, Monday through Friday. If you’re ready to shred, we’re here to help. Our customer service team is ready to explain the process in detail, review your options, and provide an honest quote. When you’re ready to move forward, set up your appointment for the date you want. We offer appointments available five days a week with the option of next-day service. We’re committed to offering our clients with the utmost convenience, which is why we specialize in mobile document destruction. When you book a shredding appointment, one of our fleet comes directly to you. Our state-of-the-art trucks are capable of shredding up to 6,000 pounds per hour, and each unit features security cameras and a side-fitted screen so you can witness the destruction of your papers. Additionally, all documents are transported to the truck using secure, locked bins for optimal security. Every business is unique, and we offer commercial shredding options that can meet any document destruction need or frequency. Scheduled Shredding – For firms with regular shredding needs, our scheduled program offers efficiency and convenience. Our team works with each business to evaluate their needs and create a customized document disposal schedule. With this commercial shredding option, we provide complimentary locked containers for secure storage between appointments. Plus, you never have to remember to call our office because we automatically show up on the predetermined day and time. All documents containing personal information become dangerous if they fall into the wrong hands. For residents across the Greater Ipswich MA area, our residential shredding service provides peace of mind by safely destroying all paperwork on-site at your home. Not only do you avoid the risks of exposing your private information, but you also enjoy the added benefit of never having to leave your home. All of our residential shredding services occur on site, and you have a full view of the process thanks to our fleets’ viewing screens. When you choose the A1 DATASHRED for your personal or business shredding needs, you enjoy the confidence of working with a trusted team of individuals. All of our employees are easily recognizable by their branded uniforms and badges sporting photo identification. Each team member also undergoes in-depth training, along with annual background checks and drug screenings.  Avoid the stress of handing over sensitive information by choosing a AAA Certified company. At A1 DATAHRED, we’re proud to have earned the certification from the National Association of Information Destruction (NAID). The organization only awards this certification to shredding companies with a proven to exceed their strict standards for quality, secure operations. professional training and state-of-the-art equipment. Protecting private information doesn’t mean you have to give up your sustainability goals. At A1 DATASHRED, we help businesses and residents go green with our eco-friendly shredding services. All destroyed material is safely recycled, and for every ton of material produced, 17 trees are saved. Don’t get buried in confidential documentation — call our team today for fast and affordable on-site paper shredding in Ipswich MA.